Its that time of year again.... ok who am I kidding, I'm constantly searching the internet for the lastest and most greatest Disney goodies out there to buy but as, dare I say the C word? well everybody else seems to be so why not....christmas approaches I take this task more serious than ever because I love putting together a Disney wish list to show family in the hope they may just have a word with the main man himself and arrange with Santa to make one or if I'm really lucky even more of the items on my list sat under my Christmas tree waiting for me to open on that day we all love. If you're looking for ideas of Disney presents to buy your loved one, daughter, sister, friend or who ever else you may be buying for then I've put together a great little idea for some fab gifts here with a range of price tags, personally I'd be very happy to find any of these amazing Disney items waiting for me on 25th December. Is there anything featured on my list you've had your eye on too? 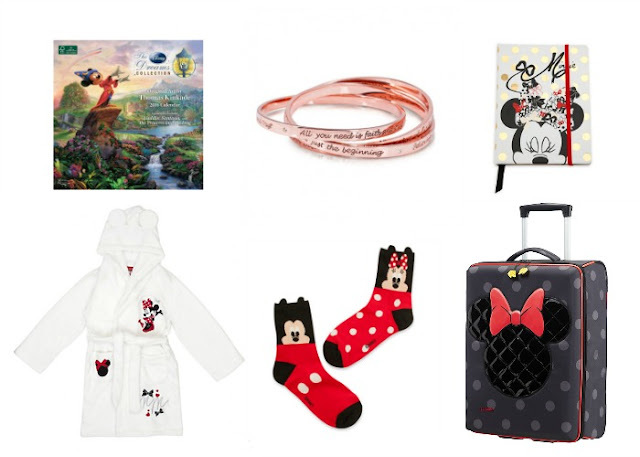 or will you be asking Santa for any other Disney goodies? I love the case! It would be perfect for my trip to WDW next month! Haha I actually have 2 other things and plan to order another soon!